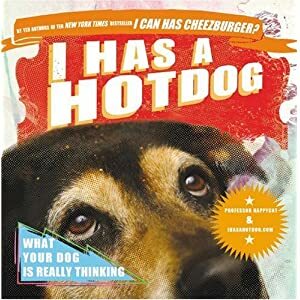 Psychotic State Book Reviews: The Winners of "I Has a Hotdog"! First, many thanks to all who posted and shared their pet stories. I loved reading about the little quirks and habits of our beloved furbabies. Congratulations, Erin, Princesspeach and Allison! If you will forward me your mailing addresses, I will see that your new book gets out to you. Congratulations to the winners! Those are such fun books.